Welcome to the Windemere Condominiums in the beautiful Perdido Key, Florida! Windemere is an updated beach front condo complex that overlooks the emerald green waters of the Gulf of Mexico. 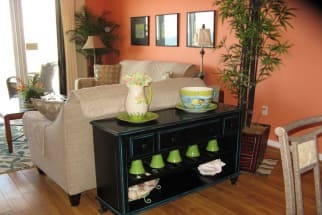 The Windemere Condo’s are a great place for your next get-a-way, offering a private pool, hot tub, exercise room, privacy and parking accommodations. If you are looking for a relaxing trip, Windemere is a great choice for your next vacation. The complex is as beach front as you can get, and offers easy access to many activities yet supplies you with a sense of seclusion. The Perdido Key area is one of Florida’s best kept secrets, the area offers privacy as it feels less developed then surrounding cities. While being quiet, the area still offers plenty of adventure with your vacation, such as parasailing, paddle boarding and deep sea fishing. If you are looking for a great meal, several great seafood and American style restaurants reside nearby. 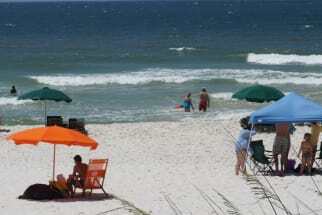 Plan your next vacation to Windemere Condominium complex with Emerald Coast By Owner. Browse our Windemere Condo listings below and book directly with the property owners. Our property owners will help you plan your trip and will make sure you are not paying any booking fees. We hope you enjoy your stay at Windemere!